Need more clearance, Clarence? 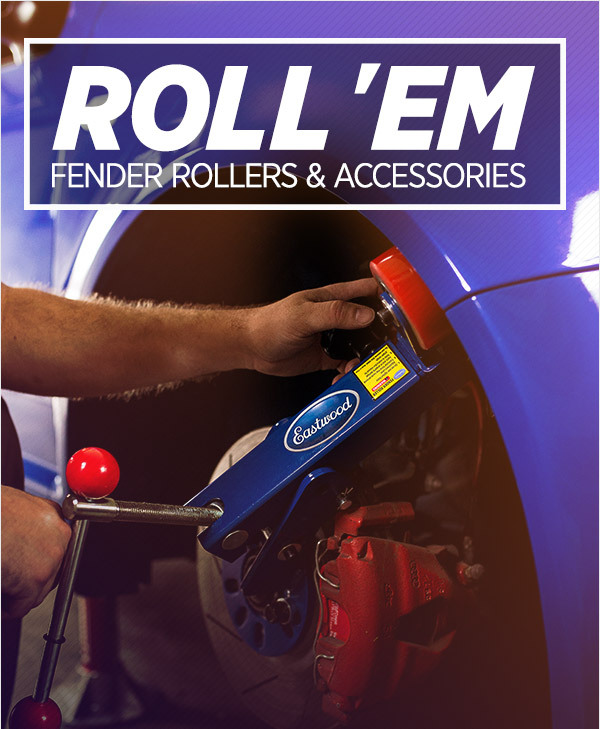 Eastwood will move your fenders out of harm's way. Just bolt the Eastwood fender roller to the wheel hub, adjust the roller radius and tension, and roll your fender lips to provide precious clearance that prevents interference between tire and fender. An adjustable radius from 14 to almost 23 inches and mounting head that fits 4 or 5 bolt hub patterns up to 120.6mm (4.75) inches makes this roller ideal for most car and small truck fenders.